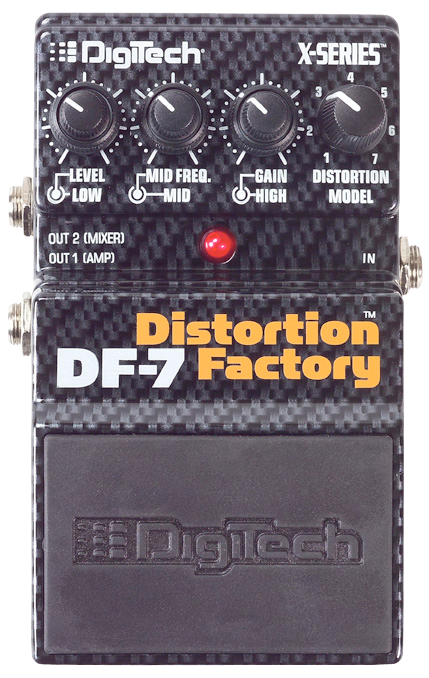 or you can put our new X-Series™ DF-7 Distortion Factory™ to work. You not only get DigiTech quality models like the Ibanez® TS-9 Tube Screamer®*, EH® Big Muff™ pi*, Pro Co Rat™*, Metal Zone®* and DOD® Overdrive/Preamp 250, you also get a ton of EQ control. 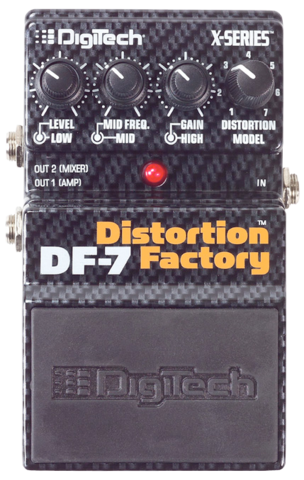 That's because the DF-7 features three dual concentric tone controls so you can customize each model with High, Mid, Midrange and Low semi-parametric EQ. 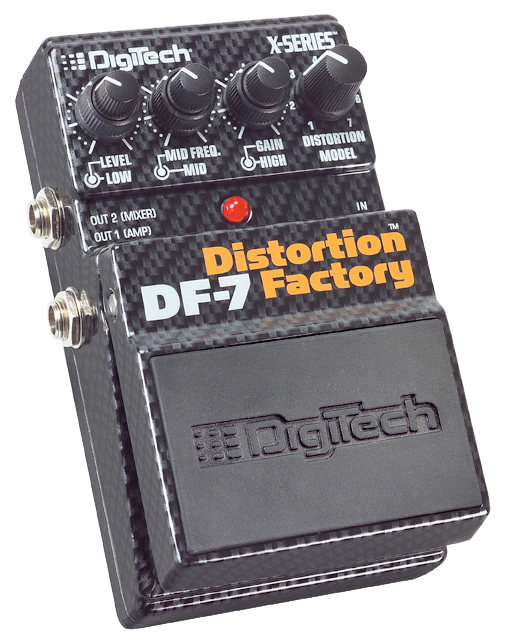 If you're a distortion freak (and who isn't? 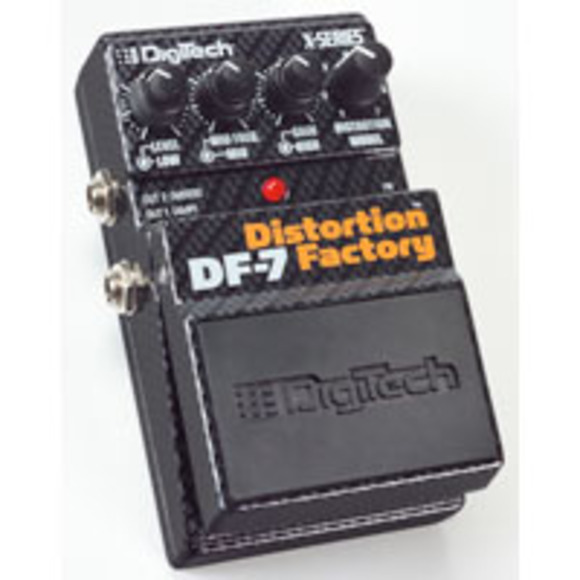 ), check out the new X-Series™ DF-7 at your DigiTech dealer today. *DigiTech, X-Series, Distortion Factory, Metal Master, and DOD Overdrive/Preamp 250 are trademarks of Harman International Industries, Incorporated registered in the U.S. and other countries. Ibanez TS-9, Boss DS-1 Distortion Pedal, Pro Co Rat, Boss Metal Zone, EH Big Muff pi are trademarks of their respective companies and are not associated or affiliated with Harman International Industries, Inc. They are trademarks of other manufacturers in the U.S. and worldwide and were used merely to identify products whose sounds were reviewed in the creation of this product. When using stereo output mode on the DF-7, what kind of cables do I need? Use mono instrument cables. Do not use TRS balanced stereo cables as this causes the pedal to act as though no cable is in the jack. If the pedal is set to stereo mode and only one cable is used in the output jacks, the outputs behave as labeled, Out 1 (AMP) and Out 2 (MIXER).